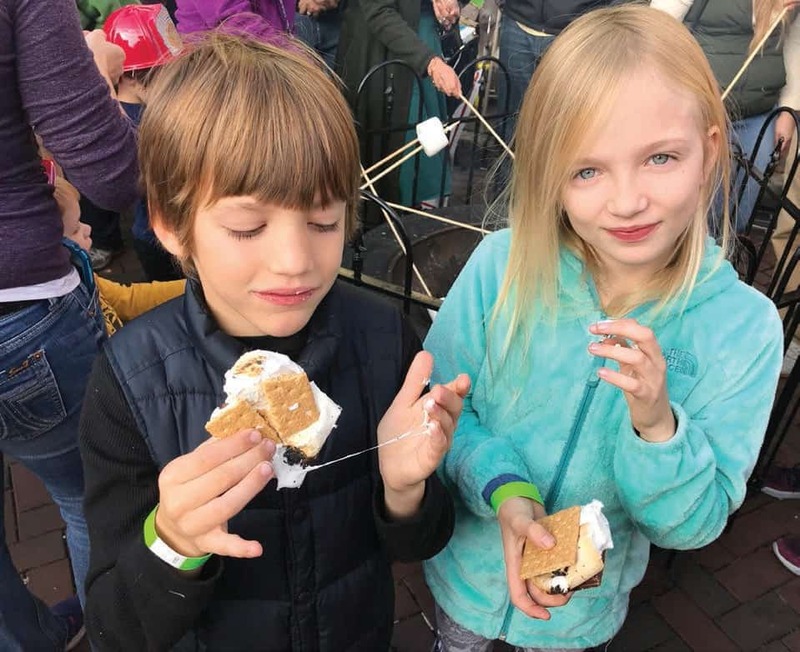 Tap into your inner Augustus Gloop as West Street in Annapolis flows with chocolate, just in time for the holidays. More than 35 vendors will proffer everything from chocolate martinis to chocolate gingerbread houses. Roast s’mores, sip hot chocolate and shop for holiday gifts from the many vendors. Santa will be collecting toys and winter clothing for those in need and the $5 suggested admission supports the Annapolis Arts District. The Annapolis Chocolate Binge Festival takes place December 2, 2018. Dozens of Santas will start the pre-game at Stan & Joe’s Saloon (37 West Street) before donning their bathing duds (along with hats, beards and bells) for a lunchtime jog through the streets of Annapolis. The one-mile run collects toys and books for kids. Thankfully the gifts won’t be delivered by Santa in a Speedo. Santa Speedo Run is set for December 15, 2018. Splurge on counting down to 2019 with a black-tie dinner at the Bygone restaurant atop the Four Seasons Hotel in Baltimore. The glamorous restaurant, with its views of the harbor, is one of the city’s best vantage points for watching the fireworks. The ticketed event will include a dinner buffet, an open bar— and of course a sparkling midnight toast. 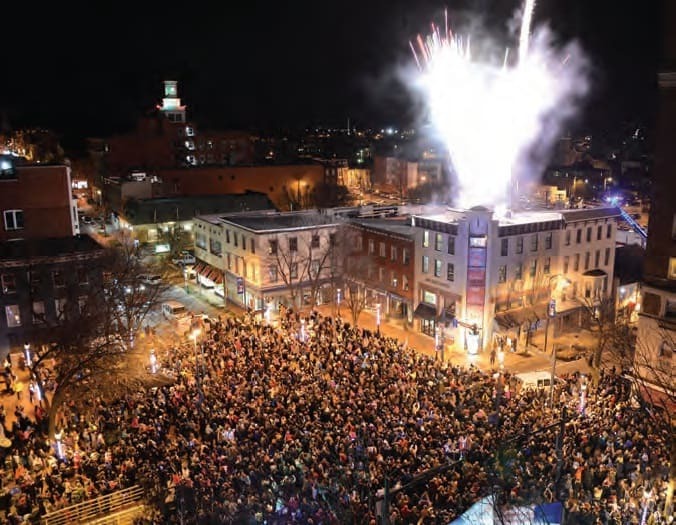 Krumpe’s Do-nuts, a Hagerstown tradition since the 1930s, seem to fall from the sky each New Year’s Eve. Along with the twinkling giant papier-mache donut that slides down the clock tower in the town square on the family-friendly dot of 6:59 p.m., the shop distributes some 5,000 of its yummy treats to the waiting crowds. Free coffee and hot chocolate too.